Here is what I created for the challenge.. its a tag I put on a birthday basket celebrating Michelles Birthday! 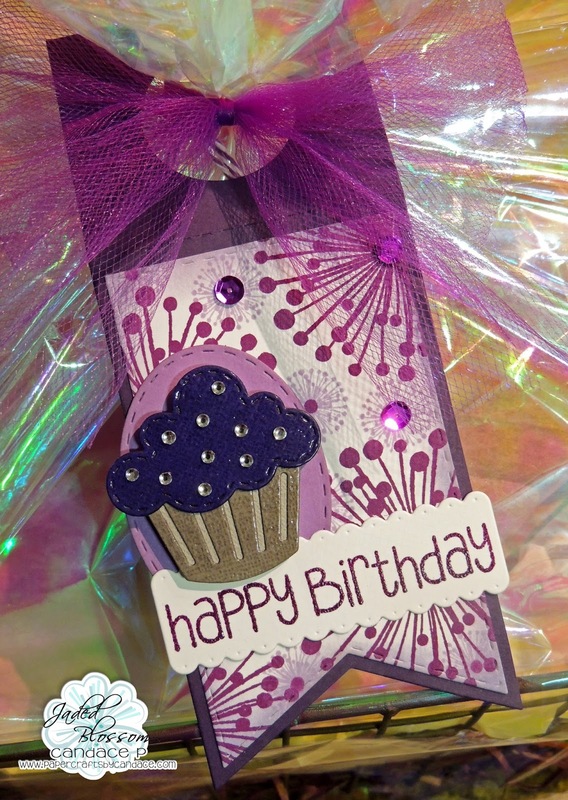 Of course I had to use her favorite color Purple! Thanks so much for checking out my project today! 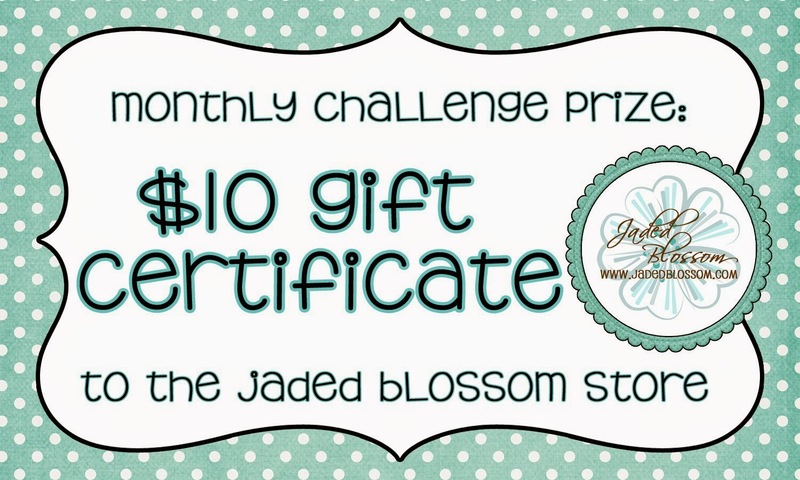 Make sure to head over to Jaded Blossom to see the rest of the projects! Great tag! Love all the purple!! Love this!!! The purple is so rich and how fun to add the purple tulle! Looks awesome not to mention that delicious cupcake!